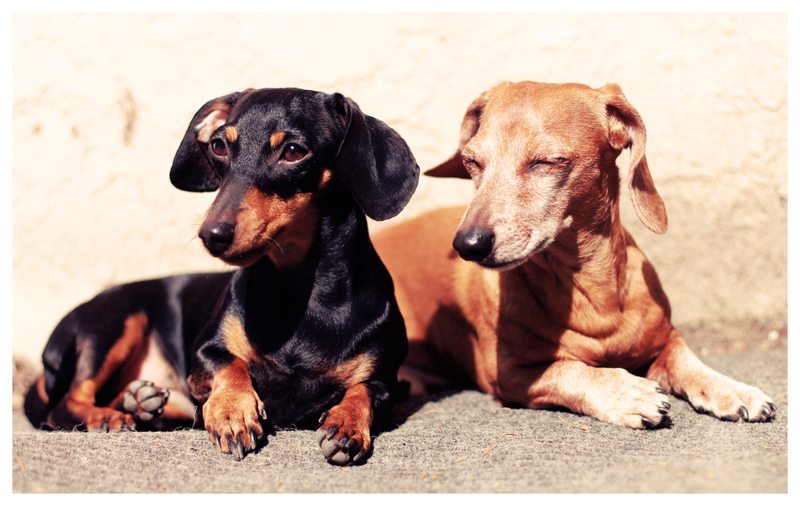 I was browsing Facebook yesterday and took note of several folks posting pictures of their doxies in the snow. 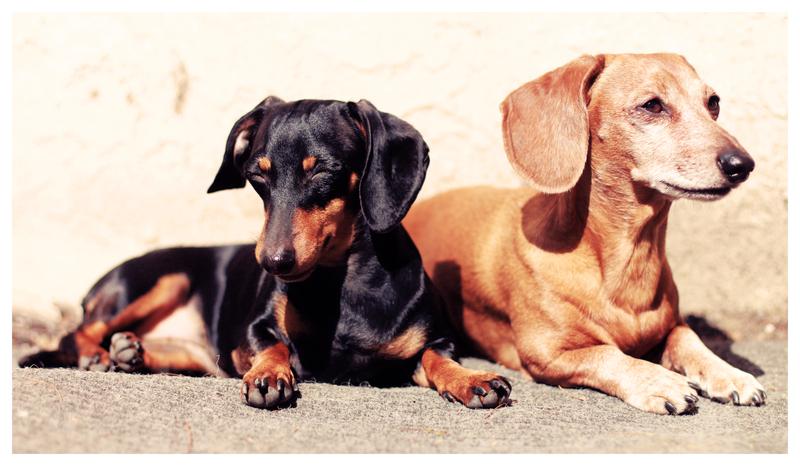 I don’t have any photos of my pups playing in the snow, but these were taken earlier this week of my two soaking up some rays. I think given the choice mine prefer the sun to the snow. How about yours?! Paws cross that the sun stays and we evade the possible rain forecasted. lolling in the sun definitely!! Mine do NOT like snow, too cold on their delicate paws! !